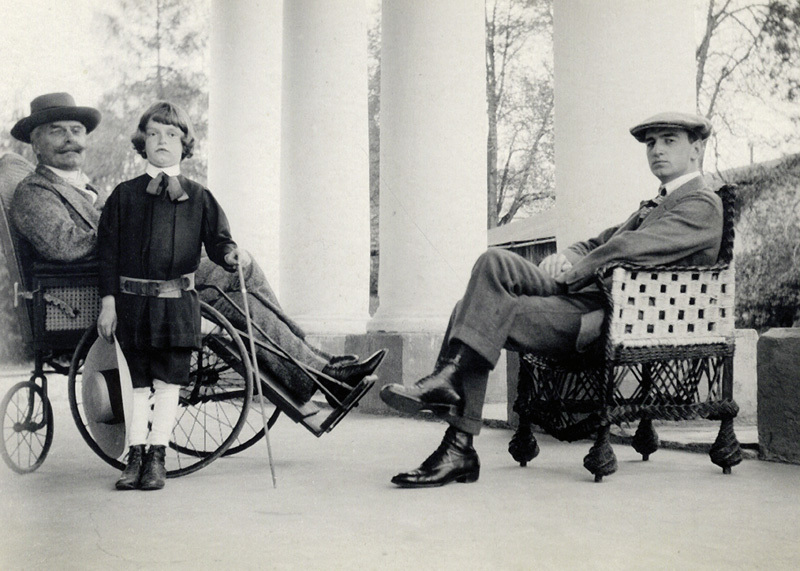 Above: Stanisław Tarnowski with his sons: Karol, who is sitting in an armchair, and Antoni, Ropa (Gorlice county), approx. 1912. The landed gentry attached great importance to the upbringing and education of their children. The young generation had to be fluent in foreign languages, particularly in French. The younger children were taught at home by tutors so as not to participate in the official school system of education. Consequently, they had to take annual exams before a school examination board. The young began their education in urban schools on the level of secondary education. While the girls usually ended their education on the level of secondary schools, which were often run by nuns, the young men usually studied agriculture or law, or went to officer cadet schools. Children of wealthier families were sent to study abroad. The upbringing was very strict. The children had to know the etiquette and how to carry on a conversation, dress appropriately, ride a horse, write letters, and play. Moreover, they had to be absolutely obedient to their parents and other adults.